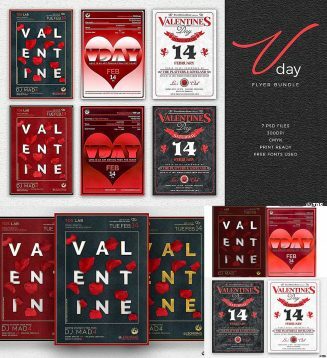 Set of 7 Valentine’s Day Flyers. Print Ready (CMYK, 300 DPI, bleed). Layers are labeled, color coded and organized in groups for easy navigation. 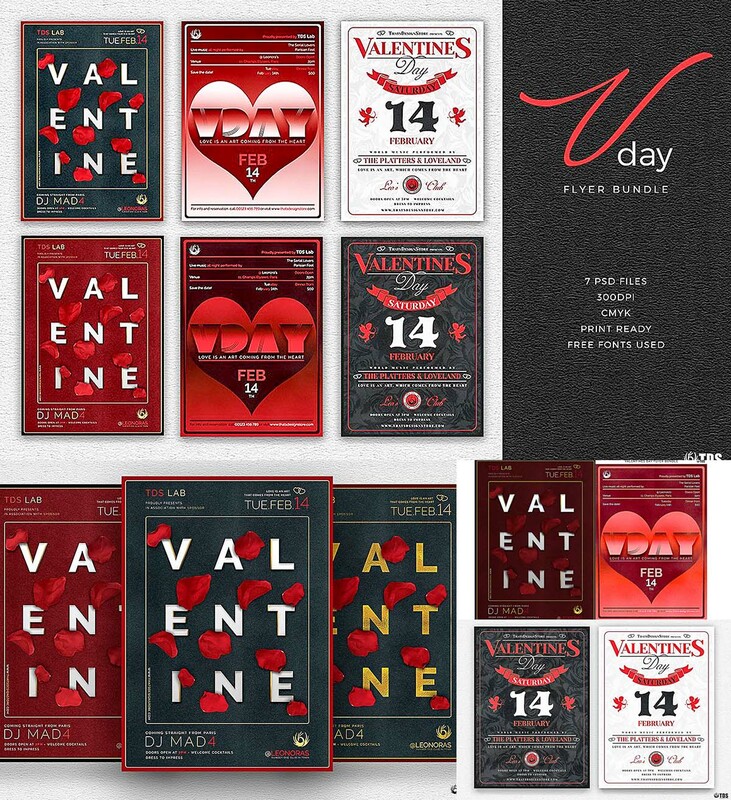 Tags: 14 february, couple, flyer, heart, love, party, poster, romantic, St.Valentine's day, Valentine.